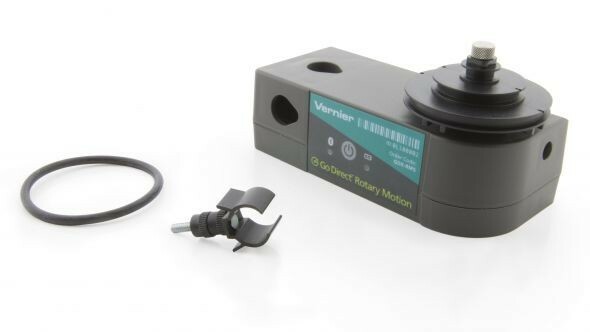 Produktinformationen "Go Direct™ Rotary Motion Sensor"
Monitor angular motion easily and precisely with the Go Direct Rotary Motion Sensor, which connects wirelessly via Bluetooth® or wired via USB to your device. The wireless connection eliminates the cables that can get caught and tangled during rotational investigations. Determine position, velocity, and acceleration of objects in angular motion. Measure angle increments as small as 0.25°. Investigate rotational dynamics, conservation of angular momentum, pendulum motion, polarization of light, and more. 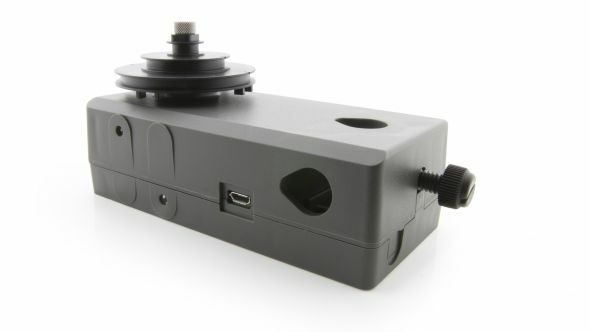 Our Go Direct sensors connect directly to your mobile device, Chromebook™, or computer using our free Graphical Analysis™ 4 app—no additional equipment or software purchases are necessary. Go Direct sensors can be used wired via USB or wirelessly via Bluetooth, allowing you to choose the solution best for your classroom or laboratory. Weiterführende Links zu "Go Direct™ Rotary Motion Sensor"
Garantie(Jahre) "Go Direct™ Rotary Motion Sensor"
Weitere Info "Go Direct™ Rotary Motion Sensor"
Kundenbewertungen für "Go Direct™ Rotary Motion Sensor"